To mark the 25th anniversary of the Seattle band’s third album, the group will release four special editions of the project: a single CD and 2LP remaster, a 2CD deluxe featuring eight studio outtakes, seven tunes from “Live At The Paramount” and the track “New Damage” with Queen guitarist Brian May; and, a limited edition 7-disc Super Deluxe Edition consisting of 4 CDs, 2 DVDs, and 1 Blu-ray Audio disc with 109 tracks total – with 79 tracks, videos & mixes previously unreleased. 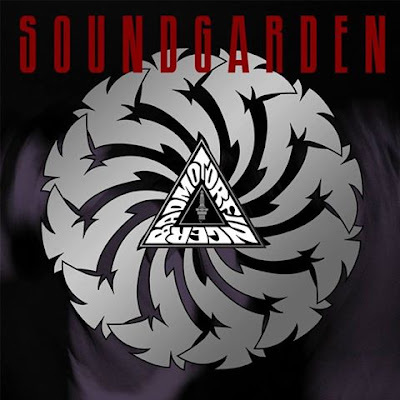 The Super Deluxe Edition presents audio of the remastered album plus a Blu-Ray 5.1 Surround Sound mix, studio outtakes and two discs from “Live At The Paramount”, Soundgarden's first-ever complete concert album newly mixed from the original analog multi-tracks and recorded at the Paramount Theatre in Seattle on March 6, 1992. The Paramount set is also included on DVD, while a second DVD delivers “Motorvision + More”, Soundgarden's 1992 Motorvision home video, released here on DVD for the first time ever. Led by singles like "Jesus Christ Pose”, "Outshined" and "Rusty Cage", “Badmotorfinger” peaked at No. 39 on the US Billboard 200 on its way to sales of more than 2 million in the States alone. Soundgarden have recently been holding writing sessions for the follow-up to 2012’s “King Animal”, while singer Chris Cornell and drummer Matt Cameron prepare to launch the first-ever tour by Temple Of The Dog with members of Pearl Jam.